TT&apos;s 19 and under water polo team display their gold medals after winning their category this past weekend, at the Carifta 2019 Water Polo Championships, in Barbados. The TT water polo teams won the majority of the special awards distributed following the Carifta 2019 Water Polo Championship held over the weekend at the Barbados Aquatic Centre, Wildey Barbados. 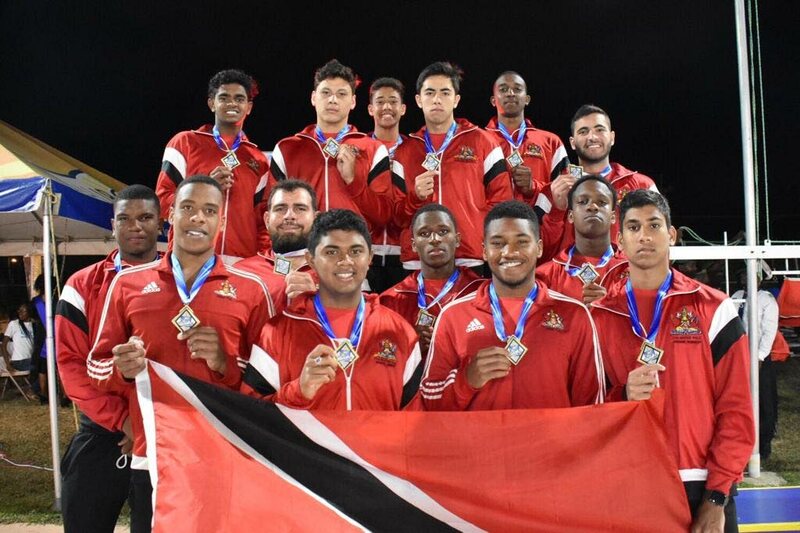 The twin-island contingent performed outstandingly by capturing gold medals in the U14 coed, U19 male, U19 female and silver in the U16 male categories. Victoria Gillette (U19 Female) and Yannick Robertson (U16 Male) were unstoppable in front of goal which resulted in them winning the top goal scorer of their respective categories. Kyle Chin Lee (U14 Coed) and Zoe Van Reeken (U19 Female) were awarded best goalies after their exceptional performances between the posts. Ross Gillette (U16 Male), Yasmin Mohammed (U19 Female), Jean-Luc Hinds (U19 Male) copped the best defender awards in their age groups after solid display of defence throughout the tournament. The TT swim team is hoping to keep the winning momentum going as they depart for Barbados, on Thursday, ahead of the Carifta Aquatics Championships swimming competition from April 20-23 at the same venue. Reply to "TT take top honours at Water Polo Championships"